Tong Ren Chakra Balancing is a powerful healing system that can be used by anyone at anytime to help heal oneself or others physically, mentally, emotionally and spiritually. Developed by acupuncturist and healer, Hayley Mermelstein, TRCB rapidly reduces stress and brings the body and mind into balance so that greater peace and calm may be experienced. During a TRCB session, you tap with a magnetic hammer on the seven major chakras of a small, anatomical doll with a magnetic hammer. The doll is an energetic representation of the person being treated. As you tap on the doll, you repeat affirmations designed specifically for each chakra. This sends healing energy to these chakras and releases blockages. OK, at this point, we know what you’re thinking. What the heck is Tong Ren? What the heck is a chakra? And you expect me to hammer on what? The chakras are energy centers that exist within the etheric body (an energy body which overlays the physical body). There are seven major chakras which correspond to different aspects of your being. For example: the heart chakra relates to your ability to give and receive love, while the third eye relates to wisdom and clarity. The chakras are aligned in a column from the top of the head to the base of the spine. 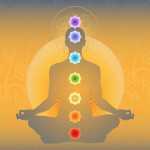 The chakra system affects the body physically, mentally, emotionally and spiritually. This is because when your chakras are balanced you make wise decisions, feel deeper trust, find acceptance, access creativity, develop compassion and love and actualize your full potential. In other words, the state of your chakra system can impact every aspect of your being. So it’s pretty important! TRCB is a tool that balances the chakras and assists each one of us in actualizing our best selves and full potential. Tong Ren is an energy healing technique developed by Tom Tam. During a Tong Ren session, the practitioner taps on certain points of the same small, anatomical doll used in TRCB. The tapping sends healing energy to the body and releases blockages. The difference between Tong Ren and TRCB is that TRCB specifically addresses the chakras. TRCB also incorporates the use of chakra balancing affirmations into the healing treatment. Hayley learned Tong Ren from Tom Tam. After practicing Tong Ren for several years, she adapted the technique. She began tapping on the seven chakras and added in the use of affirmations. She named the healing system Tong Ren Chakra Balancing or TRCB for short. Isn’t it weird to tap on a doll for healing? Well, yes. You can read all about my five-year personal struggle with this in the Tong Ren Chakra Balancing book. But after a little while, you actually get used to being a little weird. Besides, it works. That’s because energy follows thought and the doll is an energetic representation of the person you are treating. As we send healing energy to the doll the energy goes where it is directed. So, its actually only strange the first time or two that you practice it…after that it seems quite natural! Plus we all have just a little magic in us, right? Many people report feeling an increased sense of calm, peace and well being after a TRCB session. Others report relief from physical symptoms. And still others say that they are able to move forward on projects and various aspects of their lives that had felt blocked. TRCB helps with all aspects of ones life including finances, relationships, work life and personal development. This is because when your chakras are balanced you make wise decisions, feel deeper trust, find acceptance, access creativity, develop compassion and love and actualize your full potential. So this is why balancing your chakras is incredibly important!